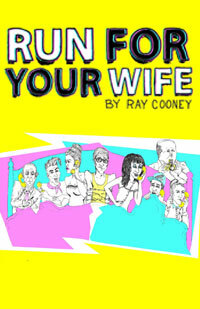 This weekend is your last chance to see the Heights Players’ production of Ray Cooney’s play Run For Your Wife, a comedy about a London cabbie whose perfect double life is on the verge of being undone by his good deed. Showtimes are 8:00 p.m. Friday and Saturday and 2:00 p.m. Sunday at 26 Willow Place. More information is here. Brooklyn Heights Cinema, 70 Henry Street (corner of Orange) will be showing Quartet, starring Maggie Smith as a singer who achieved stardom, retired, and moves into a home for aging musicians where she unexpectedly rejoins the three other members (Pauline Collins, Billy Connolly, and Tom Courtenay) of the group she sang with before she went solo and became famous. It’s Dustin Hoffman’s debut as a director. The Cinema will also be showing Silver Linings Playbook. Showtimes are here. Bargemusic has a full schedule of concerts this weekend. On Friday evening, starting at 8:00, there’s a “Here and Now” concert of piano and violin works by contemporary composers, featuring Miranda Cuckson on violin and Blair McMillen on piano. On Saturday evening at 8:00 there’s on e in the “Masterworks” series, featuring works by Schubert, Ravel, and Dvorak, performed by the Raphael Trio. On Sunday afternoon at 2:00 there’s another “Masterworks” concert continuing the series of all of Beethoven’s piano sonatas, played by Jeffrey Swann. This performance features “Beethoven and the Tragic Voice.” There is also a free, family oriented “Music in Motion” concert Saturday afternoon starting at 3:00 (doors open at 2:30; seating is first come , first served). More details are here. Don’t forget Theater 2020’s concert of medieval romantic music by Asteria at St. Charles Borromeo Church Saturday afternoon at 3:00.